An inspirational combination of craft material for ages 3+ to make 4 marvelous wooden Spoon Animal puppets. 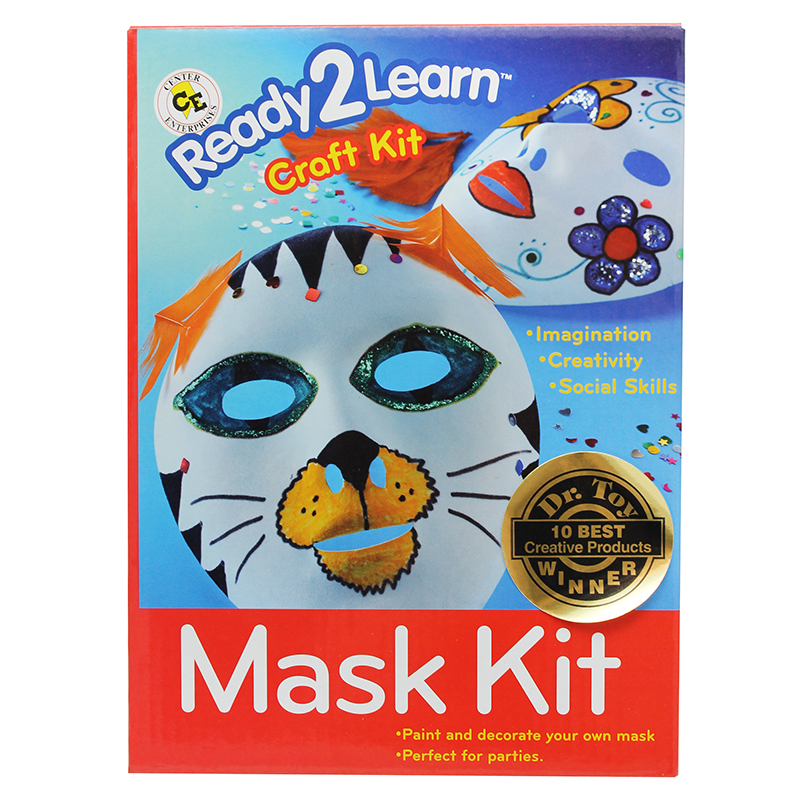 This collection is designed to encourage creativity, fine motor skills, imagination, and social skills. A variety of animals is easy and fun to create. Children find them terrific for acting out stories. 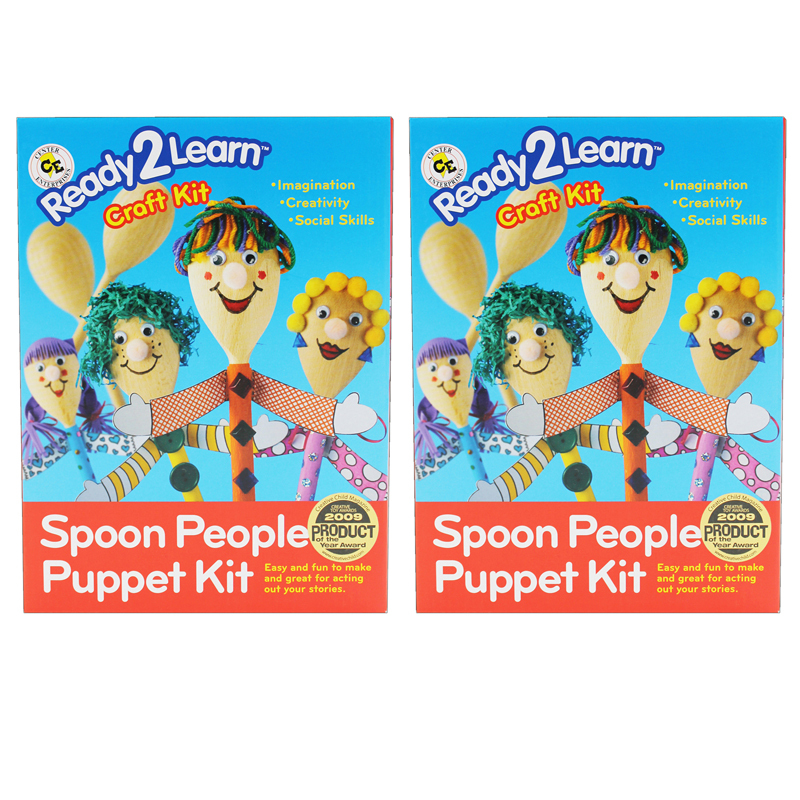 Each kit includes: 4 wooden spoons (each 6" long), yarn, ribbon, pompoms, crepe paper, foam, feathers, cotton batting, wobbly eyes, glue, mixed sequins, templates, card stock, and instructions. Sold as a bundle of 2 kits. 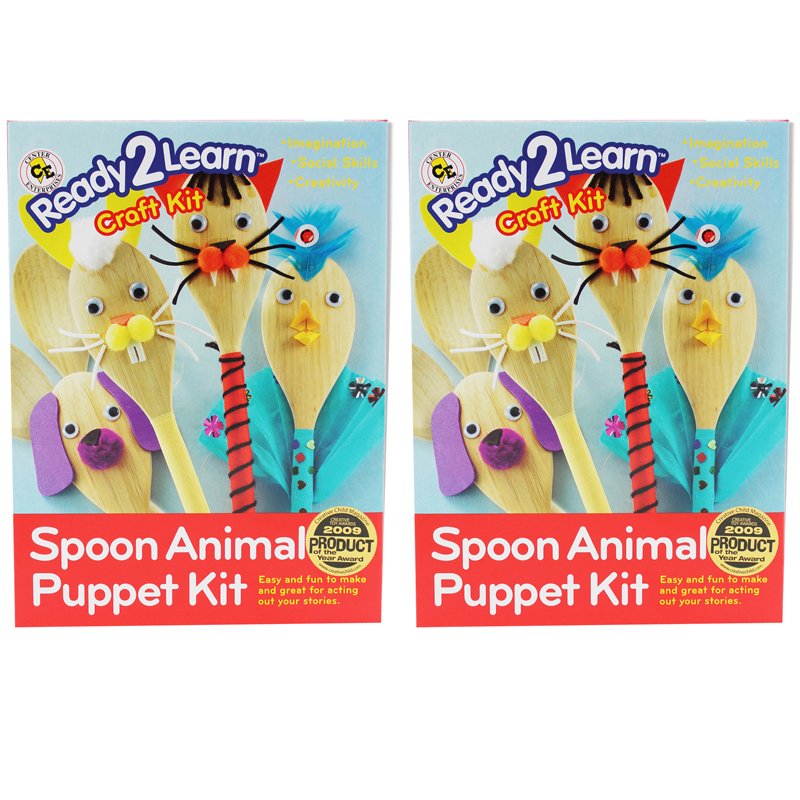 The (2 Ea) Ready2learn Craft Kit Spoonanimals can be found in our Art & Craft Kits product category within the Arts & Crafts.